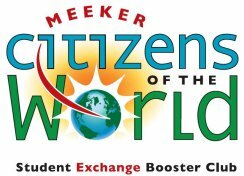 The purpose of the Meeker Citizens of the World Student Exchange Booster Club is to support the Meeker-New Zealand Student Exchange Program as it provides educational opportunities for students at Meeker Middle School in Tacoma, Washington. All funds, whether income or principal, and whether acquired by gift or contribution or otherwise, shall be devoted to said purpose. Follow this link to the Tacoma Public Schools web site for the Parent/Legal Guardian and Community Member volunteer forms.